This is the final cover for Daytime Nighttime. Available in bookstores Spring 2014! 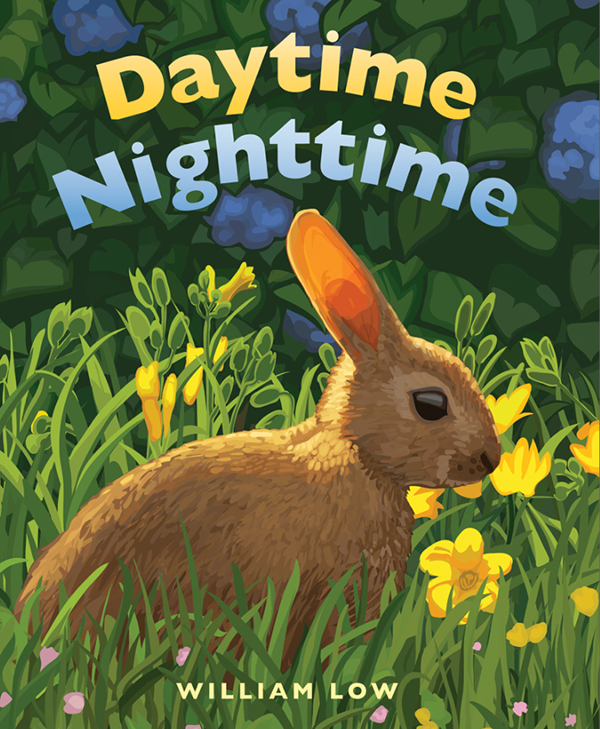 My next picture book, Daytime/Nighttime is almost completed. Here are a few images and stages from the book. Enjoy! 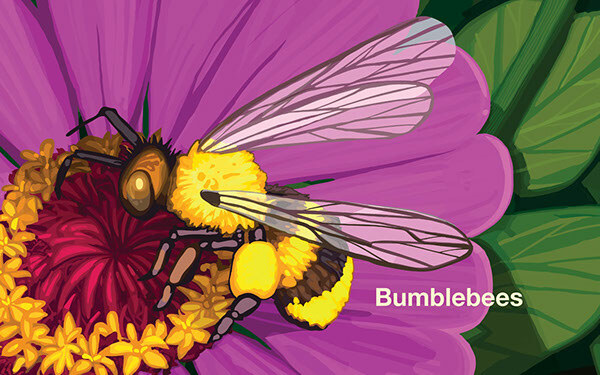 This drawing, Bumblebee is created in Adobe Illustrator. 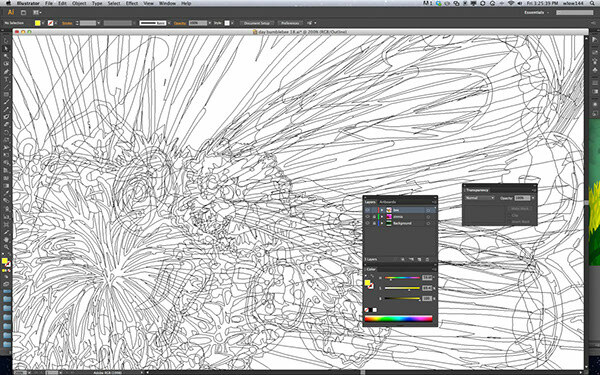 This is a screen shot of the art in the program, with the vector shapes visible. 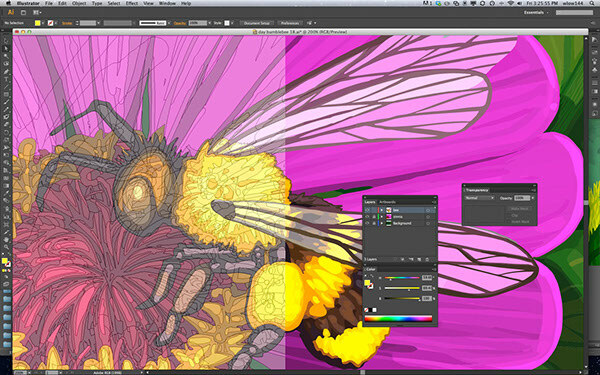 This is the same drawing with an overlay of the art in Preview Mode. The second half of the book switches gears and asks: What do you see at night? 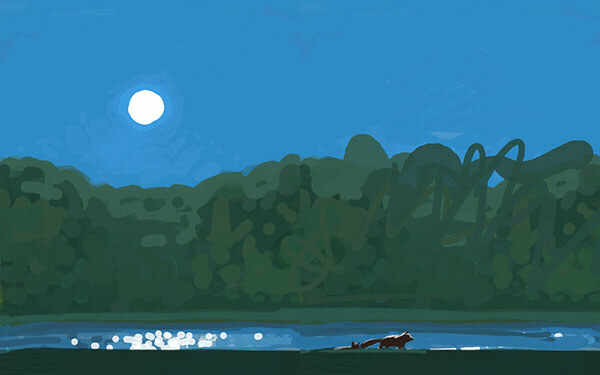 This is a color sketch for the back endpaper of the book. The first half of the book follows the line: What do you see in the morning? 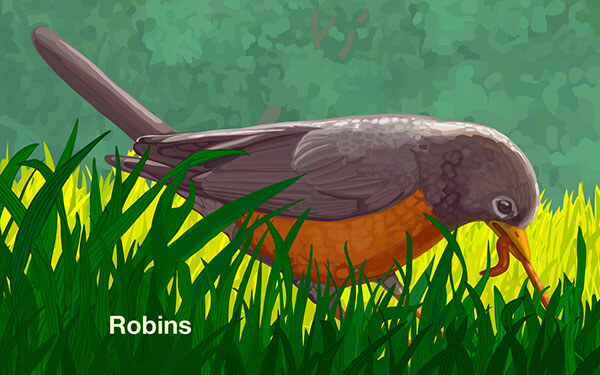 Of course, you see a Robin! Illustrations from my next picture book, Daytime/Nighttime to be published by Henry Holt Books for Young Readers.